Long felt need of the business community in Kilinochchi, to have strong chambers to represent their interests, have been fulfilled with the re-launching of Kilinochchi District Chamber of Commerce, Industry and Agriculture (KDCCIA) recently in Kilinochchi with the support of Federation of Chambers of Commerce and Industry of Sri Lanka (FCCISL) and LEEDS project of International Labour Organisation(ILO). 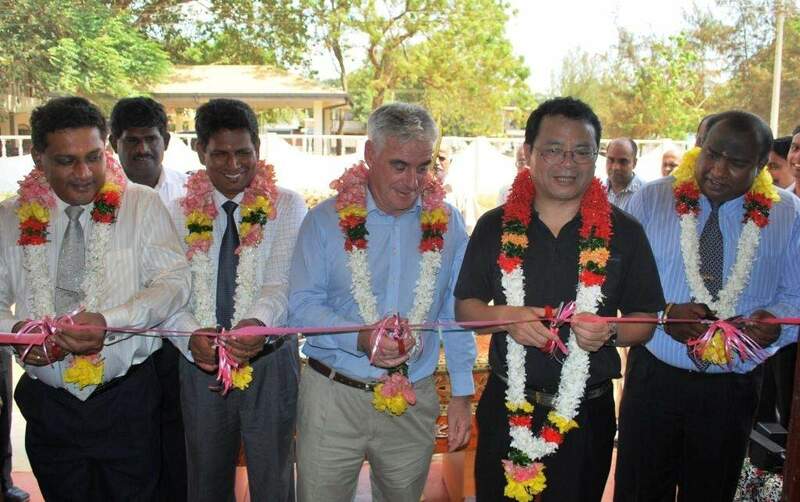 The Country Director of the ILO, Mr. Donglin Li, FCCISL Senior Vice president, Mr. Ajith Wattuhewa, Board Member, Mr. Shiran Karunaratne, Secretary General, Dr. Thusitha Tennakoon, Chief Technical Advisor of ILO-LEEDS project, Mr. Joseph Connory and Mr. Iqnatious, incumbent president of Killinochchi chamber were also presented at the occasion. Addressing the business community, Li highlighted the role of local entrepreneurs in reviewing the economy and creating more and more opportunities for the local community, specially for female headed households, disables and youths. He said that ILO’s LEEDS project which is now implemented in Vauvniya and Kilinochchi, is mainly targeting in developing the SMEs and creating opportunities for poor people by increasing the market access by linking them with major value chains. Mr. Wattuhewa addressing the gathering explained the role which chamber should play in helping the local entrepreneurs to develop their enterprises, specially by assisting them in addressing the common issues, providing business support services and developing market linkages for local produce as well as introducing appropriate technologies. He gave the assurance to the business community in Kilinochchi that FCCISL will extend all possible assistance with its member chamber network of 52 in developing the enterprises in Kilinochchi. Large gathering of business men and women, government officials and members of the Kilinochchi chamber were also presented at the opening.